NSW has the 2nd highest number of poker machines in the world, beaten only by Nevada. With statistics like these, it’s no wonder pokie addiction continues to wreak havoc with Australian lives. If you think you may have a problem with gambling, find out how you can get the tools you need to put an end to the addiction. Pokies light up the same reward centres in the brain as players learn to associate their reward with the sounds of the machines. Says Dr. Charles Livingstone of Monash University’s School of Public Health, “If you look at big poker machine venues where there are hundreds of machines, bells and whistles going off all the time, this partly explains why big venues make much more money per machine than smaller venues. Reinforcement is almost constant.” Not to mention the addition of alcohol to help lower inhibitions and the instant conversion of your money into credits to disassociate you from it and make parting with it easier. Various forms of gambling are readily available in Australia, including sport betting, bingo and lotteries, but the most popular by far are electronic gaming machines. They are proliferate in Australia, a common sight in many a pub or bar. In fact there are over 200,000 in the country; one machine for every 108 people. Pokies are the biggest revenue generator, and are responsible for roughly 75 percent of all gambling losses in Australia, amounting to $12 billion per year. About half of that comes from addicted gamblers. The money ends up in the hands of companies like Coles and Woolworths who own gaming machines, casinos, clubs and pubs. 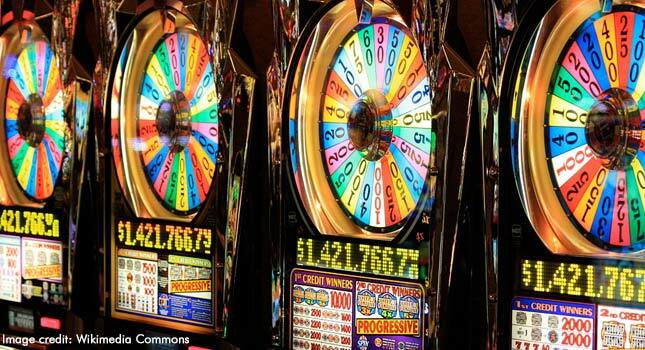 Governments receive five to eight percent of their state revenue from pokies. Nationally, New South Wales takes the cake, with the second largest number of poker machines in the world after Nevada, according to a Gaming Technologies Association report released last year. The numbers are on the rise, too — poker machine revenue increased by over $4 billion last year, amounting to a record $73 billion. One exemption to this trend is Western Australia, where pokies are illegal. Australians gamble more than anyone else in the world on a per-person basis, according to a report by the Economist. This of course means they lose more, too — more than $1,380 per year on average. That number is double the amount lost by Americans and almost three times as much as the British. “Australians lose more per head than any other country in the world,” says Dr. Sally Gainsbury of the Centre for Gambling Research at Southern Cross University. “One percent of adults have a serious gambling problem which is actually a clinical disorder. Four percent of adults have moderate gambling problems and eight percent a low range of gambling problems.” There are an estimated half a million Australians currently struggling with gambling addiction. A gambling addiction ruins the lives of addicts, but it also seriously affects the people around them. Problems like job loss, divorce, family separation and even suicide can result from this powerful affliction that directly impacts people’s ability to provide for themselves and the priorities in their lives. Says “Matthew,” a 35-year-old IT professional who gives a false name for the sake of anonymity, “I lost a relationship, my fiancé. The relationship I had with my mum went down the drain… The thing that got most people was that I lied to their faces about where I was and about my money situation.” Mark Steven Grevsmuhl, a 48-year-old Logan financial adviser, pleaded guilty to more than 40 counts of fraud and has been jailed for 13 years for stealing over $5 million from clients in order to feed his gambling addiction. A report released in April by the Victorian Responsible Gambling Foundation estimates that around 300,000 people in Victoria are affected by someone else’s gambling. Gambling also hurts communities. The social costs of gambling addiction in Australia are estimated at $4.7 billion per year. It also targets the most vulnerable communities — a Fairfax investigation has found that the areas hardest hit by gambling losses in Sydney are its most disadvantaged suburbs — to the tune of billions per year. Four of the five suburbs experiencing the fastest-growing and largest losses are ranked Sydney’s top-five most disadvantaged areas by the Bureau of Statistics. More than a third of the $7 billion increase in money spent on pokies since 2011 comes from just five disenfranchised parts of Sydney. “This is truly alarming, since these areas have only 10 per cent of the NSW population,” says Francis Markham, a gambling researcher at the Australian National University. “We now know that the concentration of gambling losses among the poorest is intensifying.” Fairfield is Sydney’s highest-losing area. A former top NSW gaming executive, who spoke on the condition of anonymity, says, “The lower socioeconomic people need an escape. They get a good experience from gaming… they tend to spend more time. People that are lonely talk to the machines and they talk to (another gambler) who gets a pay(out) and that’s the psychology.” Clearly it is one that is well-known by the gambling industry. When gambling goes from hobby to compulsion, people suffer severe consequences financially, socially, and mentally. If you or a loved one is struggling with a gambling addiction, The Cabin Sydney can provide an initial assessment and consultation as the beginning of an effective addiction treatment plan. The Cabin utilises a treatment regime called Recovery Zones which is effective in treating both substance and process addictions, such as gambling addiction. This innovative programme is more effective than traditional approaches as it combines aspects of leading evidence-based treatments such as Cognitive Behavioural Therapy (CBT), 12 Step principles and mindfulness. For each problem gambler in Australia, approximately 5-10 other people are affected by the addiction. When necessary, The Cabin Sydney also provides a family treatment component. Contact us today to find out how we can help.